Calicut City Service Co-Operative Bank Ltd.
We have achieved RS:1171.59 Crores Deposit Outstanding till 31/03/2019. Got Permission to act as United India's Insurance `Company Cooperate Agency. The Calicut City Service Co-operative Bank was started in 24th July 2002 with the Calicut Corporation limits as its area of operation. From a humble beginning the Bank has made great progress with in a span of five years and is at par with some of the major banks in the city. The Bank has been certified ISO 9001- 2000 for quality and is the second bank in the co-operative sector to get ISO certified. A class 1 super grade bank. Banking services 365 x 12 hours. 26 Fully computerised branches in different parts of the city. Maximum benefits for senior citizens. 1200 No's of Lockers available ( In our Head office at Chalappuram - Locker City). Our bank that commenced its operation in 2003 has completed 15 fruitful years of service to the society and is now moving to a new phase of its activity. We had successfully transcended mighty challenges and hazards. But now I would like to view them as the simple reason for our present happiness and pride. The bank’s amazing and enviable growth into what it is today is nothing but the manifestation of our collective strength. Copyright 2017. 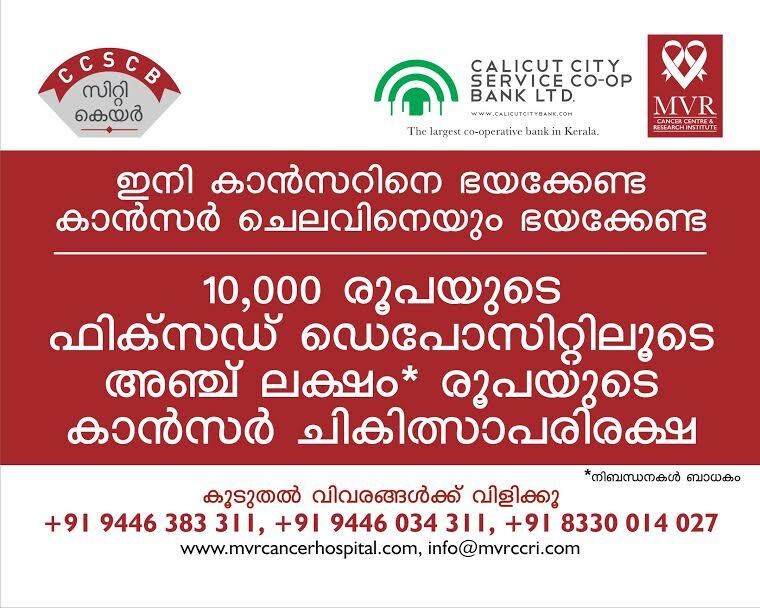 Calicut City Service Co-Operative Bank Ltd. All rights reserved.